Already, Anna University published Phase 1 & Phase 2 revaluation results. 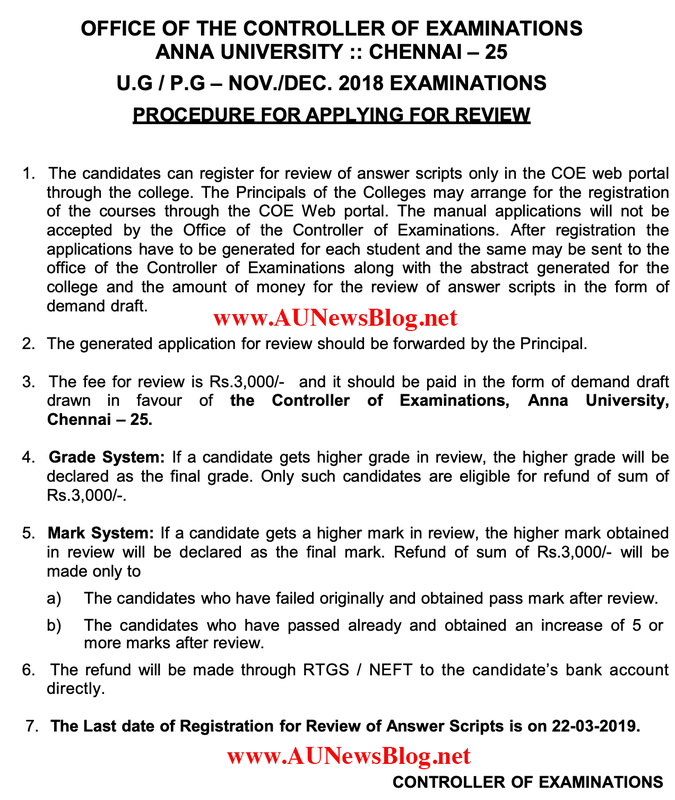 Now, Anna University shared the methods to apply review of answer script and last date to apply for review. Review Fee is Rs.3,000. If you get more grade in the review then your amount will refund. 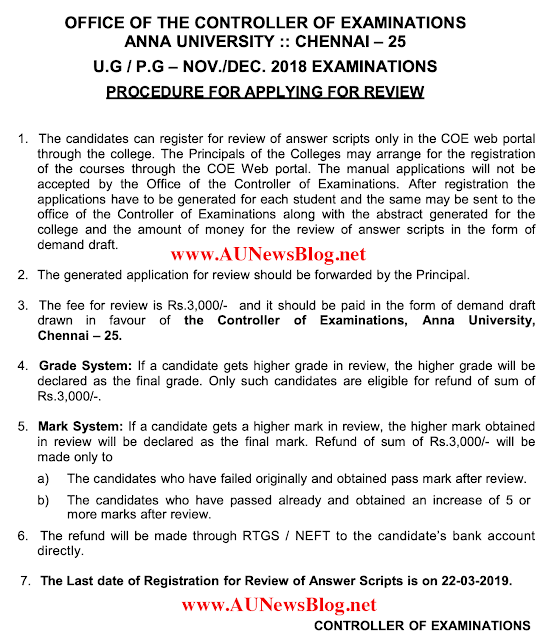 Anna University Nov/Dec 2018 Review Last date: 22nd March 2019.